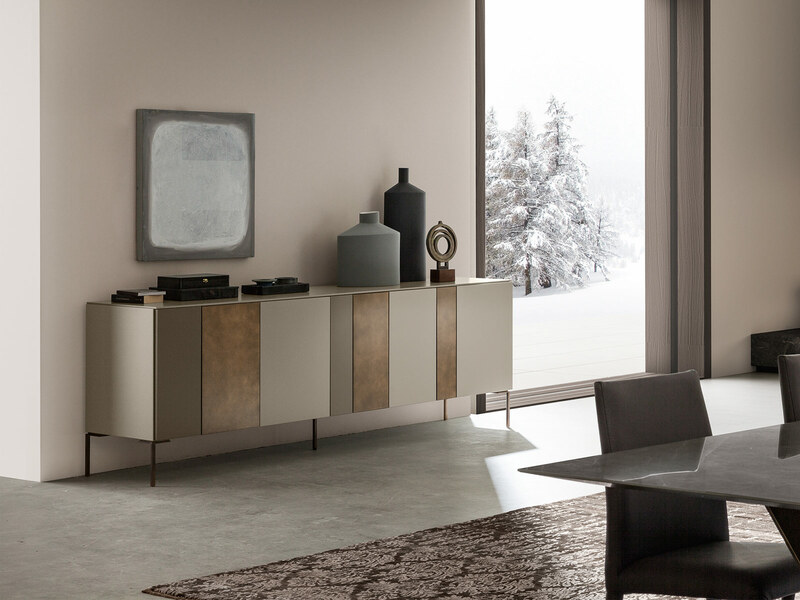 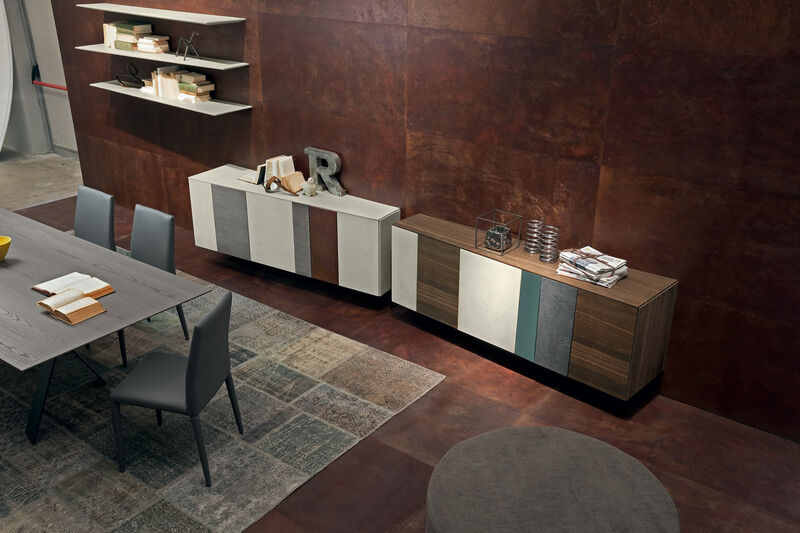 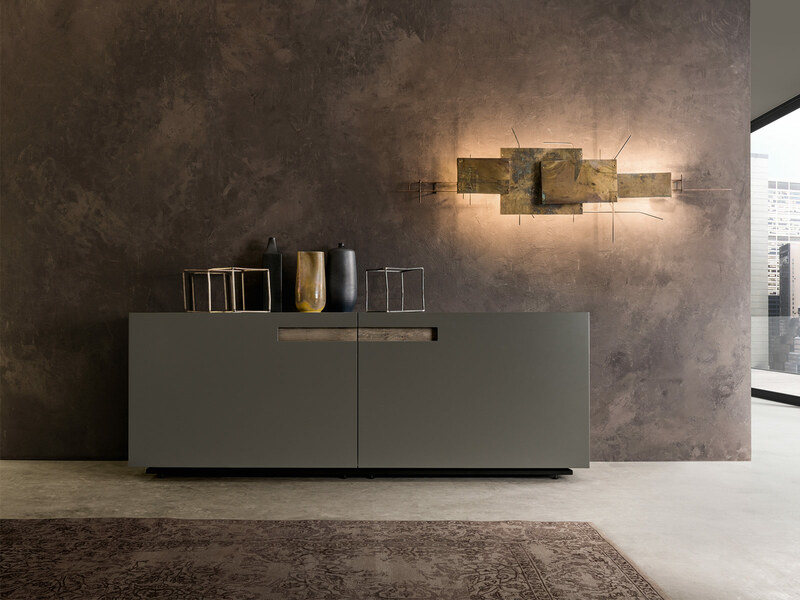 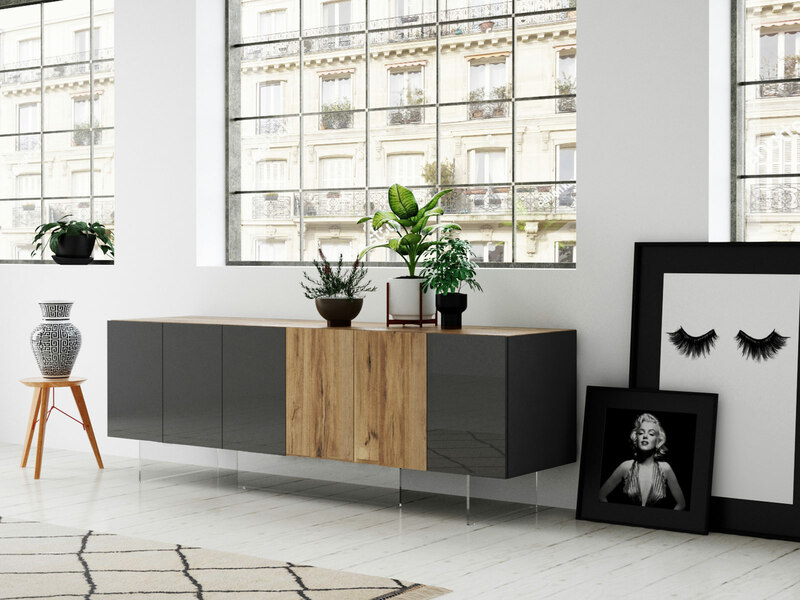 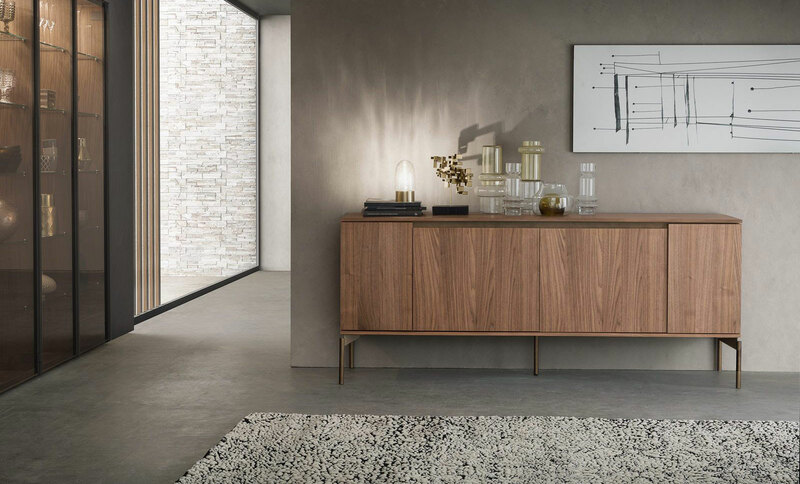 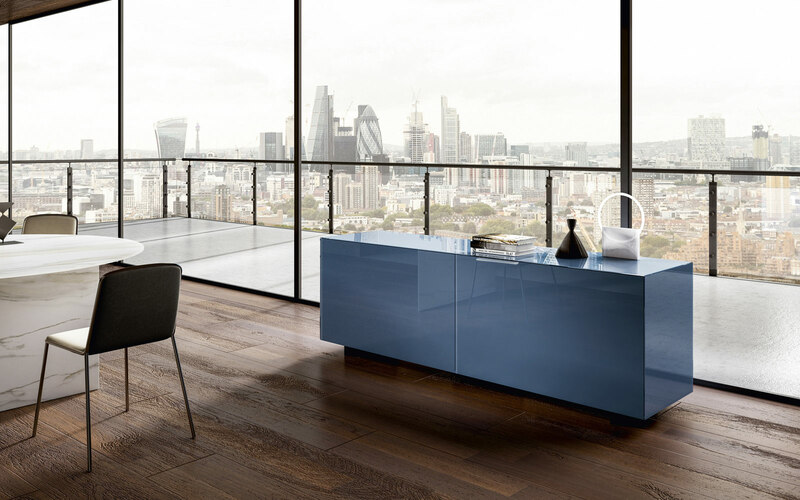 The Cube3 sideboard with coplanar sliding doors features the unique optional electric opening / closing action. 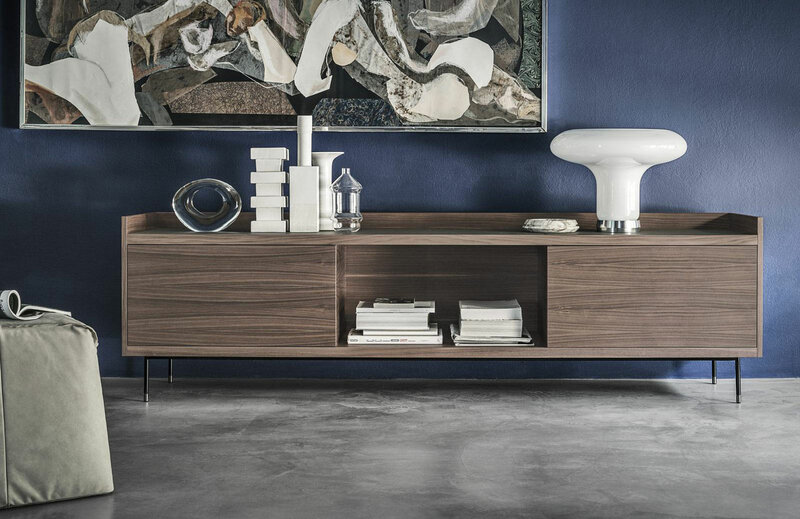 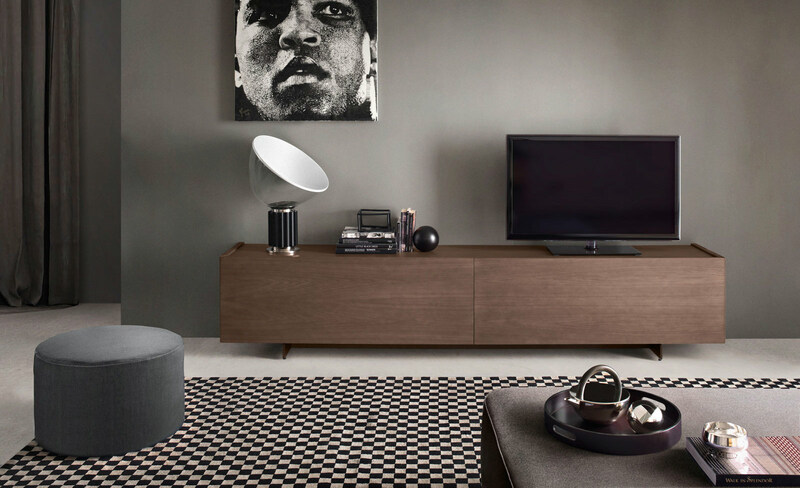 The Cube3 sideboard can be raised upon nichel steel bridge feet (as shown) or full length sides that continue to the floor. 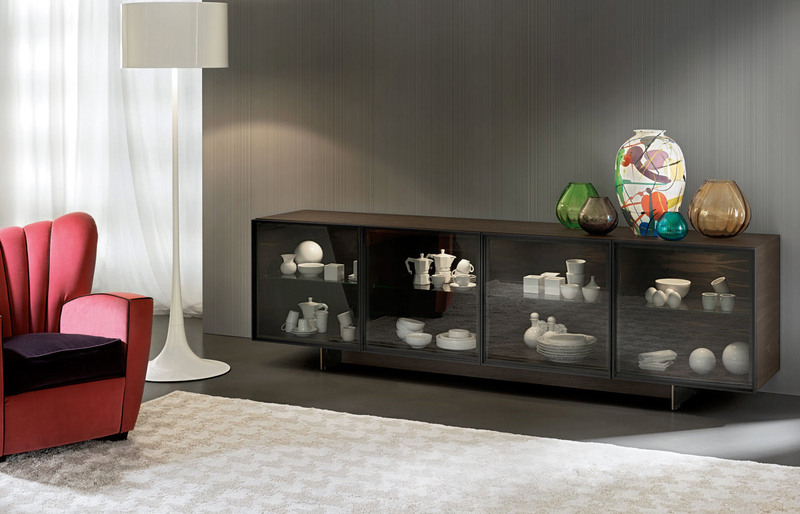 Various finishes & dimensions available.